In the past few years, aesthetic medicine has been one of the most dynamically developing branches not only around the world, but also in Slovakia. It is because it helps people enhance their appearance, remove the more or less visible imperfections, and lead a satisfying life and feel more self-confident. Siklienka is undoubtedly one of those companies that follow the “With Quality to Beauty” motto to make the dreams of many women of perfect appearance and a beautiful body true. We were the first company indeed to supply the Slovak market with silicone breast implants and dermal fillers, which makes us one of the companies with the longest and richest experience on our market. In 1991, Jozef Siklienka established the company with the objective of making and keeping it a family business to be later managed by his two daughters. The key philosophy of Siklienka is to provide the market with high quality up-to-date products developed in the field of aesthetic medicine as well as a certain value added – our effort to make our clients feel safe and taken care of – which is always well appreciated. We cooperate and team up with the best – our long term suppliers include the leading producers of aesthetic medical devices: Teoxane, Nagor, Eurosilicone, Lipoelastic, Biodermis, and others. Being a family company with high level of flexibility, we can promptly react to the changing needs of our customers and business partners. The Siklienka team regularly attends international congresses, trainings, and hands-on sessions organised abroad in order to keep up with the latest trends and follow the cutting-edge innovations, products, procedures and other novelties in the field of aesthetic medicine. We then use our knowledge to organise local workshops and inform professionals and the public on what’s new. We are especially proud of the congress that our company organises – Siklienka EXPERT DAY with guaranteed participation of the best and most renowned global experts in the field of aesthetic medicine. During a workshop that usually takes an entire day, they share their experience and knowledge, exchange views with others and last but not least, increase the level of expertise in aesthetic medicine by pushing its boundaries forward. Being the organisers of this event and a company fostering the ideal of female beauty on our mission, we are very thankful for that. 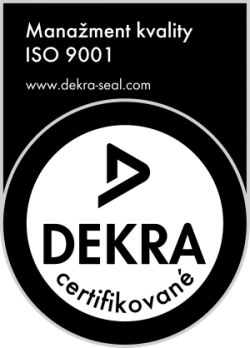 What is a proof of our professional expertise is the ISO Quality Certificate that we were awarded in 2001 among the very first companies in Slovakia. We have been abiding by its policies for more than fifteen years now. The quality system in compliance with the requirements set out in ISO 9001:2015 (Certificate ISO 9001_2015 Siklienka) standard is the warranty of quality, professional approach, and due diligence that our customers seek. If you are looking for a reliable business partner that follows an approach that goes well above the standards, observes the highest level of discretion, and collaborates with globally renowned specialists while paying attention to the level of desired comfort and individual needs of every single client, do not hesitate to contact us.